An earlier than expected exit from stimulus by the US Federal Reserve risks reigniting the Eurozone debt crisis and pushing the weakest countries into a "debt-deflation spiral", the International Monetary Fund has warned. 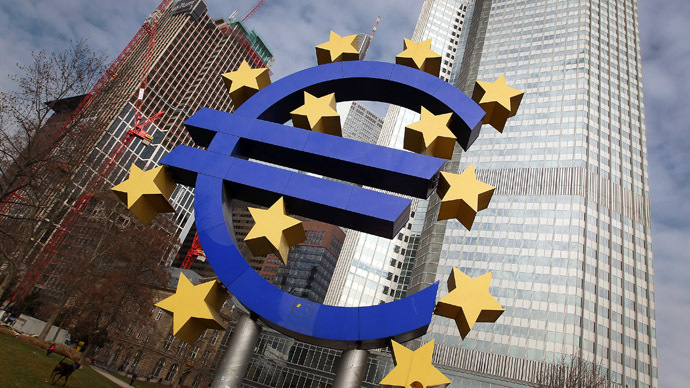 The IMF also called on the European Central Bank to launch a fresh round of unconventional monetary support. "The macroeconomic environment continues to deteriorate," the IMF said in its annual `Article IV' health check on the Eurozone. The fund does not see a recovery until 2014, despite the recent upbeat purchasing managers' surveys in the euro zone that offered a glimmer of hope the bloc can return to growth soon, Reuters reports. It predicted that the Eurozone’s GDP will contract by 0.6% this year, before expanding by 0.9% in 2014. 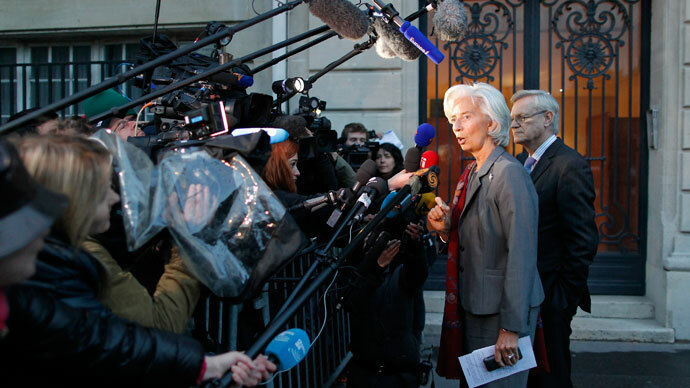 The IMF report praised Eurozone authorities for measures to stabilize financial markets, which reduced the risk of a break-up. 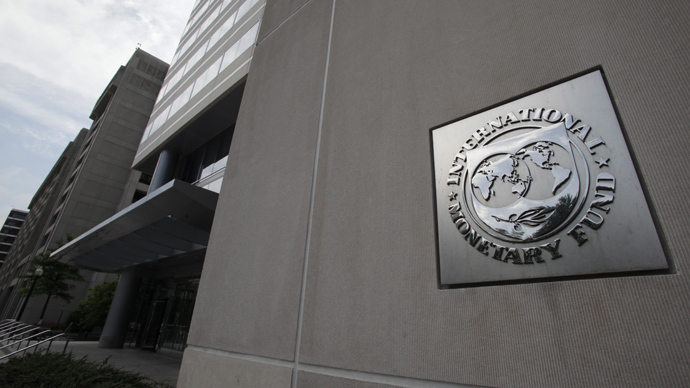 Despite that , "growth remains elusive and high unemployment persists, especially among youth," the IMF notes. It warns that the onset of a new tightening cycle in the US has already led to major spill-over effects in the eurozone, pushing up bond yields across the board, the Telegraph quotes the IMF. Early tapering by the Fed "could lead to additional, and unhelpful, pro-cyclical increases in borrowing costs within the euro area. This could further complicate the conduct of monetary policy and potentially damage area-wide demand and growth. Financial market stresses could also quickly reignite," the newspaper quotes the fund. The IMF explains how the ECB should act to help growth with measures to reduce financial market "fragmentation" - a code word for highly disparate credit rates for companies in the north and the south of the euro zone. 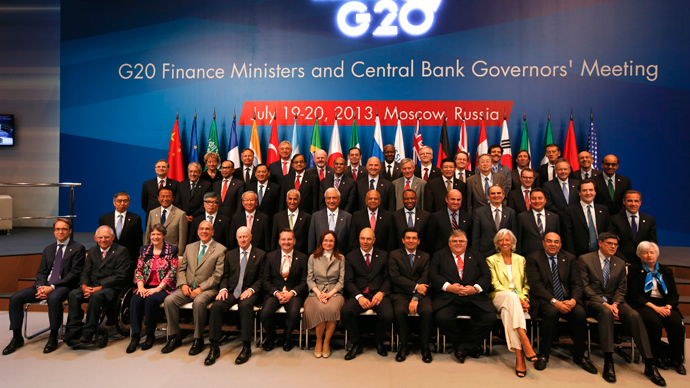 "Additional unconventional monetary support could help reverse fragmentation," the IMF said. The Fund also called for more reforms in the banking sector, including the re-capitalisation of weak, but viable banks, and the closure of "non-viable" banks. It says, the individual euro zone governments must continue with reforms and the euro zone as a whole must go ahead with its plans to create a banking union, Reuters quotes the IMF “Article IV”.